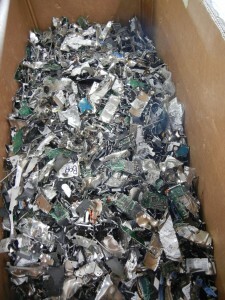 There are occasions when you require your hard drives to be shredded and destroyed rather than ‘wiped’ or erased. Clients throughout Houston, The Woodlands and Sugar Land and have relied on TechnoCycle to provide hard drive shredding and destruction services to support their ITAD requirements. During the shredding process, your hard drives and other media will be destroyed in our state of the art electronic hard drive shredder. This machine will physically shred and destroy hard drives, disc, and tape media to ensure that all information is irretrievable. Upon completion of this hard drive destruction service, TechnoCycle will provide you a certificate of destruction on request. 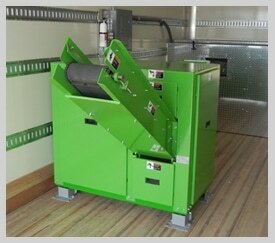 The TechnoCycle E-Shredder offers you either in-house or on-site shredding, depending on what you require or prefer. Optical Media – CDs, DVDs, CD-ROMs, DVD-ROMs, Blu-rays, HD DVDs, etc. DID YOU KNOW that Texas business leaders are legally required to properly dispose of customers’ sensitive data? According to the Texas’ Business & Commerce Codes §72.004 and §521.052, any business caught improperly disposing of business records can be fined up to $500 for each record, and in the case of data breach, up to $50,000 for each violation by the state of Texas. These fines do not include any penalties exacted by the U.S. government under the FTC’s FACTA Disposal Rule, which applies to virtually every business operating in the United States. REGARDLESS OF THE SIZE OF YOUR COMPANY, data protection and breach prevention is essential during the entire life cycle of your data (click here for more information). Physical destruction of your media is the most secure method you can choose to ensure end-of-life data breach prevention and data disposal compliance. ADDITIONAL SERVICES INCLUDE hard drive removal on-site or off-site, serial numbers recorded before destruction, video capture of the destruction, and pick up of your electronic recyclables (click here for accepted items). In addition, you will be able to track online (through our client log-in) your e-waste from collection to the end of the recycling process. Reports will include a full asset accountability manifest including details of manufacturer, model, classification, asset tag (if available) and weights. We also provide an outstanding level of quality assurance to our customers through our intensive chain of custody documentation and auditable reports. If you have data disposal questions or would like to schedule our data destruction service, please contact us by phone or using the form on this page.